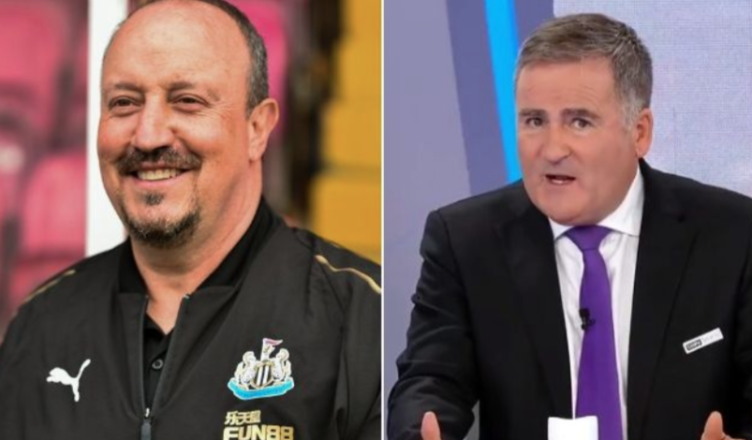 Benitez sends emphatic 7-word message to his critics – Are you listening Richard Keys? – NUFC blog – Newcastle United blog – NUFC Fixtures, News and Forum. “You don’t win 13 trophies without attacking.” This was Rafa Benitez’s brilliant message to critics during a fascinating interview with the Chronicle earlier this week. Benitez shouldn’t have to justify his credentials to the likes of Richard Keys of course – but it’s a timely reminder of the calibre of manger United luckily currently have on their books. A manager can only serve up a style to get results with what they have – a pragmatic approach that has meant Rafa delivering promotion and a top ten finish last year. “The majority of the fans realise the potential of our team and we manage it. “They can also see we are getting points. “What we have to do is play well and win games, not just play well and see what happens. “You can see a lot of teams that playing really well offensively and using expansive football. But they also concede a lot of goals. “I don’t think our fans would be happy if we were doing that. “So we have to find the balance. “Look at the Cardiff game as an example, we showed we could attack and score goals against team of our level. Benitez knows we don’t have the attacking prowess to dismantle teams at this level, though he will hope Almiron can change that, so has focused on making us well drilled and solid defensively. We have the seventh best defence in the league and are on track to stay up again, even if it may be tighter than last year. With so little investment – a net spend of practically zero in his three years in charge, what else could Benitez do? “Hopefully, now with more competition and defensive players around we will be better. “We will create chances and score goals. “What we have to do though is keep the balance we have in defence and attack. It is this balance the likes of Keys will never understand – it is worth noting that playing this way meant we beat Manchester City 2-1, a result that could be pivotal in keeping us up. Chelsea tried to attack and high press Manchester City last week and were battered 6-0; perhaps Rafa knows what he is doing after all – something detractors like Keys should remember.